This website explains and connects you with the online and physical library resources available to you. If you have any questions about the website or library, please email HSAS librarian Paul Sager at paul.sager@lehman.cuny.edu. HSAS students have access to three library systems: CUNY Central, the Lehman College Library, and the New York Public Library. CUNY offers an array of online databases. New York Public Library provides electronic resources online from anywhere as well as onsite resources in library locations. Requires a NYPL card and PIN. 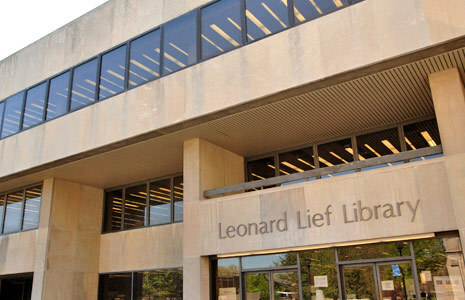 The Leonard Lief Library (Lief is pronounced "leaf") on the Lehman College campus is a spacious, well-equipped home base for research and study. HSAS students may use this library until 8 p.m. during regular college sessions. During school hours, students may come to the library during their lunch period. Visit the Lehman Library Website for its current hours. Students must have Lehman IDs and register with the library to check out books. Students cannot take out books or access the available databases without a registered and activated library account. To register, students must first obtain Lehman College ID cards. The link here opens the registration form. Bring the completed forms to the Circulation Desk. After they create an account for you, ask them to activate your account. These accounts are now being automatically renewed each semester for continuing students, so students only need to register once.